A pattern in UChicago started in the early hours of this morning when professors began emailing round to announce canceled classes and postponed midterms. 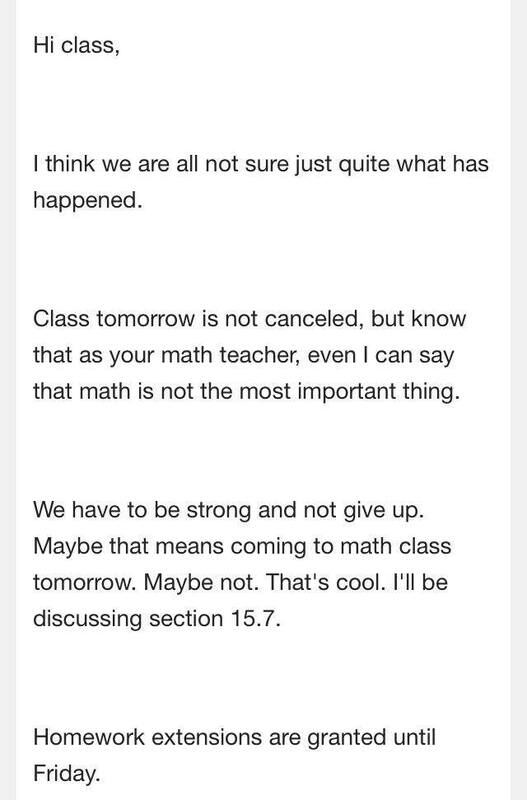 At around 3am, a math professor emailed to explain that there would be no problem if students didn’t attend class because “math is not the most important thing”. This seems to have sparked a pattern among UChicago professors, with some postponing midterms that were meant to take place today. Professors, such as Beatrice Fineschi, a biology teacher, are acknowledging that we may not be as prepared as we need to be for tests.